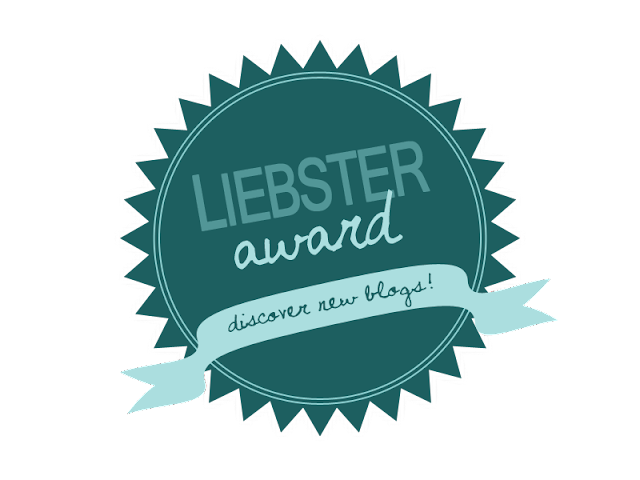 Bloo 'n' Stuff: My First Liebster Award! I was in a kid's educational book with my best friend about being disabled called Going Shopping. When I was about four or five I dreamed I went to Michael Jackson's house and believed it was real for years. Even told people about it! I went to stage school when I was seven and still have my first and only tap shoes. I only brush my teeth with warm water. Years ago I was advised by a doctor to stop drinking tea because I was drinking so much it was giving me heart palpitations. I didn't last one day. Only this year did I switch to decaf after I started having panic attacks. I secretly dated my best friend's brother for four months when I was fourteen without anyone knowing. I want to do a road trip around Europe. I'd also love to go to New York and see a Broadway musical and Ground Zero, and to Canada to see a NHL ice hockey match. When I was really young I wanted my wedding dress to be denim with an embroidered red squirrel on the breast pocket. My older sister hated bananas as a kid, so I decided I did too. Now she can eat them, but they still turn my stomach. One of my biggest regrets is not going to the London Olympics and especially Paralympics in 2012. I used to be addicted to a game called Tribal Wars and I'd spend almost 24/7 on it because it was played in real time and you could lose all your work in the space of a couple of hours. I met a bunch of amazing people on it, including my first love! 1. What do you think the term ‘blogger’ means in the modern world? I've never really thought about it, because I never really cared. I think if I was to think about what the term means to other people, I'd start comparing myself to that definition and worry whether I matched up. 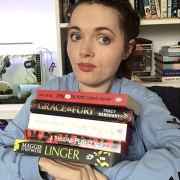 I also think bloggers are such a diverse bunch of people, we don't all fit into one box or definition. Probably a boring answer, but there it is. 2. If you could do anything to your blog, what would it be and why? I'd love to work with a professional website/blog designer. An experienced person who would be able to make it simple and functional, and help me make graphics that look professional and reflect my personality. I would like my blog to be unique and stand out without trying too hard, and I don't think I have the ability to do that myself. 3. Have you ever hated a food as a child and now like it as an adult? That almost fits with one of my random facts! But yes, as a kid I didn't like Brussels sprouts. I felt like a grown up when I started to like them, even though I was only ten. 4. Who do you most look up to? Probably my sister Eva Paige. Which probably sounds weird because she's five years younger than me. I really feel like people take her for granted and belittle what she does and what she's been through. Most people don't even realise what she's been through because she never makes a big deal and keeps everything to herself, which I can relate to. However my disability automatically makes people sympathise (for lack of a better word) with me, so I think it's harder on her. 5. If you could be any blogger, who would you be and why? 6. What is your favourite word? Situation. Purely because of this. It reminds me of being Northern Irish and gives me funny patriotic feels. 7. Why do you think bloggers have increased in popularity? I guess because they're more accessible now. I think in this day and age it's important to people to be able to interact and get to know the people they look up to. With social networking and such that's easier than ever. 8. Have you ever been to the theatre? Yep! Musical theatre has always been big thing in our family and something we've enjoyed together. I'm yet to see a non-musical play though, but I'd love to. 9. Who would like to win the Oscars next year? Eep, I have no idea. I don't really watch award shows. 10. What do you think about my blog? I really enjoy it. I would follow it if I didn't. I love reading about your theatre stuff especially! I wish I had the balls to be an actress. But I'd only get type cast as girl in wheelchair! 11. Did you like these questions? haha! Yes, even if I don't think I answered some of them very well. If you had a song play automatically when someone visited your blog to gave them a feel of your blog and personality, what song would it be? What is your favourite aspect of blogging? If you were reincarnated into an animal, what would it be and why? If your life became a television show or movie which would it be and what character would you play? (Gender swaps are fine). If you could time travel but only once, would you go back or forward and to what time? Is there anything out of your comfort zone you usually avoid blogging about? If you had to go undercover and change your name, what name would you choose? And I guess that brings me to the end of my Liebster Award post. I hate nominating people for things because I hate to be a bother or make people feel they have to do something, so don't worry about it if you want to opt out. I know some of you may have already been nominated before. If you do it though, please link me! I want to see your answers. Congratulations Bloo! Very well deserved. I love your blog and wish I had found it sooner! I'm also going to add your button to my blog - I'm a newbie in the blog button sharing world, haha. Oh gosh, thank you! I'll grab yours for my blog too. I really appreciate it. Congratulations ! i like very much reading this. very well deserved. I love your blog and wish I had found it sooner! safety officer courses in chennai|Industrial safety training institute in chennai | fire and safety course training chennai|Iosh ms course training in chennai|nebosh institute in chennaikeep posting!